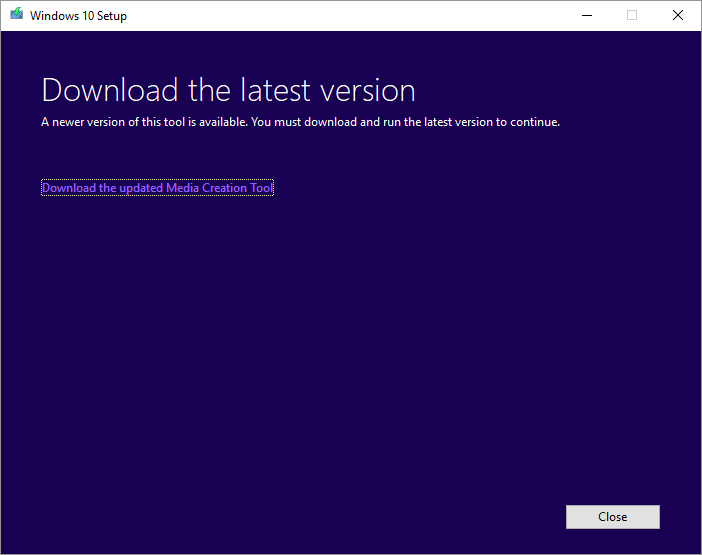 The Media Creation Tool version 16299.15 for Windows 10 Fall Creators Update v.1709 has leaked to Internet. Media Creation Tool is the common wizard-based software utility provided by Microsoft to allow Windows users to upgrade to latest version Windows 10 or create ISO images, USB or DVD installation media for clean or offline install. A newer version of this tool is available. You must download and run the latest version to continue. The error happens because the Media Creation Tool is still not been provided with correct version of products.xml that provides critical information for Media Creation Tool to work properly, such as file names and download links to ESD files on Windows Update. 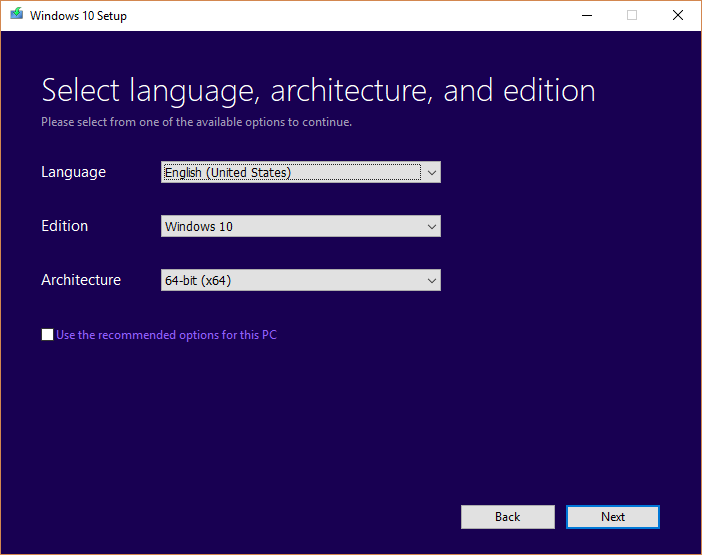 If you want to create bootable Windows 10 Fall Creators Update ISO images, USB flash drive or DVD disc now, before the general availability of Windows 10 v.1709, use the following steps to start the Media Creation Tool. Download the Media Creation Tool version 16299.15: https://download.microsoft.com/download/0/B/2/0B2BC253-367A-48C3-A25D-402F123676D3/MediaCreationTool.exe. Download the products.xml of “RS3-RTM WU for MCT” release for Media Creation Tool: https://download.microsoft.com/download/3/8/9/38926395-6FB1-4487-83DF-4241D2EA79F7/products_20171005.cab. Put the two files in the same folder. Rename the products_20171005.cab to products.cab. Follow the wizard to create bootable Windows 10 Fall Creators Update RTM ISO images, USB flash drive or DVD media, which has the build as 16299.15.rs3_release.170928-1534. Above method is no longer needed once Windows 10 Fall Creators Update v.1709 is officially released, when the Media Creation Tool should work as intended. Update: Windows 10 version 1709 Fall Creators Update is officially released, and the Media Creation Tool is now officially supporting it.